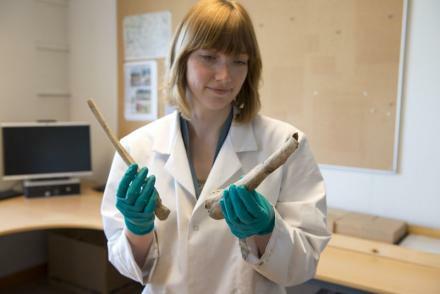 A new and cheaper method for screening ancient bones to determine whether they contain DNA has been described in a new study from the University of Stavanger’s Archaeological Museum. This approach could overcome a major problem of identifying useful genetic material in large collections of prehistoric bones without resorting to extensive and expensive laboratory studies. Hege Ingjerd Hollund proposes a combination of three screening methods – microscope examination, inspection with ultraviolet light and infra-red spectrometry (a form of chemical analysis). This solution is proposed in the thesis she has had accepted by the Free University of Amsterdam, which makes her one of the few Norwegians with a PhD in conservation of ancient remains. The three methods provided different information about the deterioration of a bone and how well preserved it is. Hollund uses various parameters for the level of preservation when studying bone samples. The results of each screening can be used to assess the probability of DNA being present. Her approach will also provide information on the challenges presented by a bone – whether it is contaminated, for example, by organic material from the soil or by bacterial DNA. She has tested the proposed solution with a large and varied range of materials, analysing 425 samples of bone or teeth from people and many types of animals. The latter range from the dodo, an extinct Mauritian flightless bird, to the aurochs – the ancestor of domestic cattle and also extinct. DNA screening can have a number of applications, including monitoring how well bones are keeping in museum collections. That would make it possible to determine the best storage methods. Hollund’s method could increase the success rate in searching for DNA, agrees associate professor Anne Karin Hufthammer at the University of Bergen and an expert on prehistoric bones. “A way of screening such remains to find out whether they contain genetic material would be incredibly valuable for the archaeological community,” she emphasises. 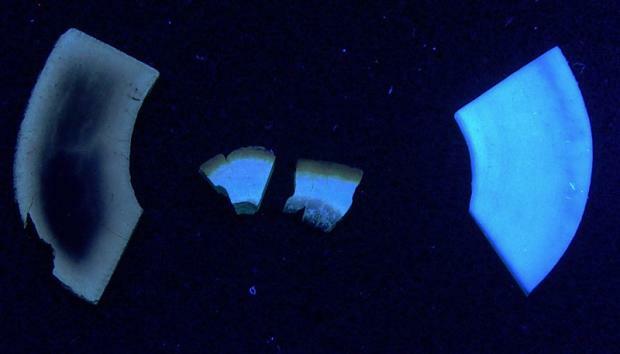 Hufthammer also acclaims the fact that the approach proposed by Hollund makes it possible to use the screened bone or teeth samples for other analyses. DNA analyses are costly and complicated, and scientists have accordingly long wanted to find good methods for screening ancient bones. Genetic material in such relics has often deteriorated greatly, and pollution in the form of modern DNA from bacteria or archaeologists who have touched them can create problems. Hollund’s proposal is welcomed by Jørgen Rosvold, who analyses prehistoric deer and reindeer bones in the Snow Patch Archaeology Research Cooperation at the science museum of the Norwegian University of Science and Technology (NTNU).